At Stringz Guitar Studio we firmly believe guitar is the ultimate social musical instrument. Learning guitar in a group environment is supportive, loud and fun. From primary school aged kids socialising, making noise and getting started to a group of adult learners who want a cost effective way to have music lessons, our group lessons are a great way to learn. It’s great to have someone to learn with, and our duo lessons offer just that. Catering for couples, friends, parent & child, a duo lesson is a great way to have someone join you in the journey of learning music. Small groups of friends and musical families can have great fun in a trio (that’s 3 people) or quartet (that’s 4 people) lesson, to learn and play together. 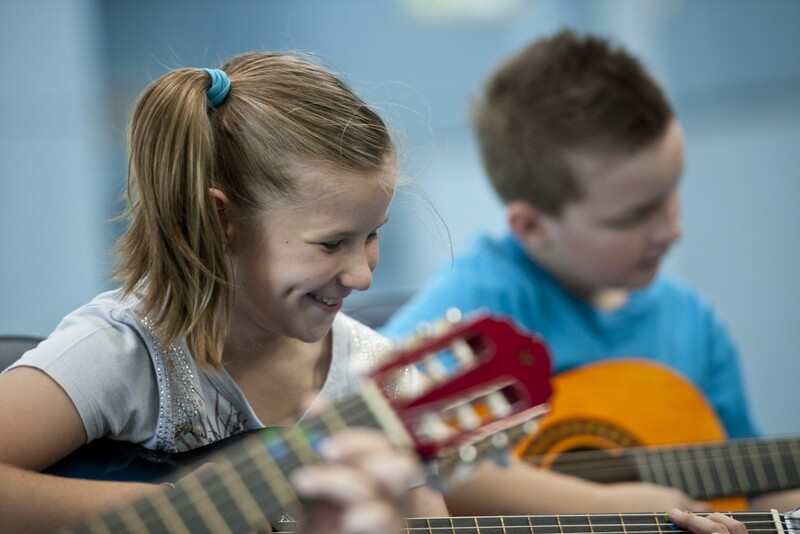 Our Stringz Kidz program is renowned throughout Brisbane as a super fun way for musical children to get strumming on guitar or ukulele. Up to 8 children can learn at one time. To book a group lesson with Stringz Guitar Studio, please contact us.